Visually explore a range of design options to assess their impacts on building performance. 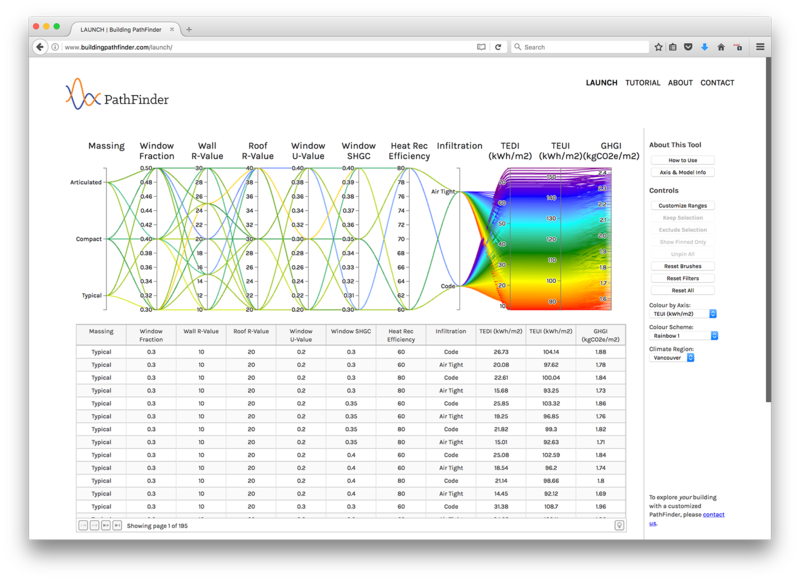 Building PathFinder leverages whole building energy modelling in an intuitive interface to educate designers, developers, planners and others on the implications of building design on energy use, greenhouse gas emissions, and other metrics. Building PathFinder currently includes the exploration of a multi-unit residential building in Vancouver, BC, with a focus on metrics in relation to the City of Vancouver’s Zero Emissions Building Plan and the BC Energy Step Code.